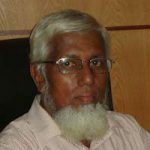 Party politics and power politics are the twin scourges the Sri Lankan Muslims are faced with in what the Muslim society sees as the hegemonic display of strengths of some group (s) over the others contrary to the teachings of Islam. The Ramadhan fasting (any fasting for that matter) has two sanctioned events, one at the start of the fast each day (taking of the pre-dawn meal) and the other is the time of breaking the fast known as Iftar which is done by taking date fruits plus water first followed by khanji (porridge), short eats and then immediately performing the prescribed prayer. Taking of pre-dawn meal is done by all Muslims in one’s own homes, other than in exceptional cases where such persons may have other arrangements. Getting up and taking the pre-dawn meal is recommended (has Blessings). On the other hand, Iftar – breaking of the fast – Muslim males may do it in their own homes or in mosques where dates, water, porridge (khanji) and short eats are provided to all those who come to the mosques to break the fast. Mosques spend (from the contributions from their congregational members and other Muslim well-wishers) lavishly on the preparation of Iftar porridge, dates and short eats. The Iftar porridge is prepared in large quantities (in some mosques the Iftar porridge costs from around Rs.40,000/= to Rs.50,000/= or a little more per day) and the porridge is also available to Muslim households, Muslim businesses and Muslim groups in state or private organizations (universities, factories etc. where preparation of the porridge is not possible) around the area of these Mosques. Few persons and households of other faiths sometimes do come and collect the Iftar porridge and the Mosques offer them with generosity and without any reluctance – All Praise Be to God [Allah]. Iftar has a special significance for Muslims who are fasting – a short time period before the time for breaking the fast, they must get involved in supplications to God (Allah) for any shortcomings in their fasting, supplicate for the good in this world and in the Hereafter, be meditative and concentrative of Islamic teachings, read Qur’anic verses and finally break the fast at the correct time without delay when the call for prayers is announced. This time period is specifically to be religious / devotional and be devoid of distractions. Thus any function in the name of Iftar with even the slightest distraction is against the spirit of fasting. Many world leaders have hosted Iftar functions in the past in their respective countries – originated first in the White House (USA) – some of which are yet continuing, some were discontinued, some restarted again and some world leaders do not host such functions at all, some are totally against it and some boycott it even if invited – that is the scenario of these Iftar functions worldwide. Sri Lanka too followed suit and we have had state sponsored Iftar functions hosted by the President and the Prime Minister separately on different days at the Presidents House and Temple Trees respectively. People are invited: Diplomats of the Muslim countries, parliamentarians (MPs and ministers), Muslim clergy, leaders and office bearers of Muslim social organizations, trustees of Mosques and so on. There is no question of any Muslim invitee not attending these functions because they are cherry-picked by the Public Relations Units of the President’s and the Prime Minister’s Offices and / or by the Muslim parliamentarians themselves. The Muslim public in general are neither happy nor annoyed over the hosting of the Iftar by the President and the Prime Minister as they (the Muslims) perceive the hosting as the absolute privilege of the President and the Prime Minister and also as part of governance to honour and show a sense of fraternity to the Muslims. Many Muslims would be very thankful to the two leaders for providing the necessary space to do the Call for Prayers (Azdaan) and performance of prayer of the hour (Mahgrib) to the Muslim invitees there itself. This Iftar function cannot be called political as the practice of hosting Iftar had been in existence during different regimes in Sri Lanka and the speeches given therein by the heads of state are (were) about the values, virtues and benefits of fasting and nothing about the ruling regime’s political views. Apart from the sumptuous food at the time of breaking the fast and at the immediate Iftar dinner and the luxurious interiors of the Presidential House and the Temple Trees, there is nothing whatsoever to be said as distractions in the sense of individual or collective thoughts of the Muslim invitees that may go against the spirit of fasting. So far so good but few issues show the downsides of these Iftar functions viz. the marginalized and poor Muslims (even those of other faiths) are left out and they the marginalized poor do not get any benefits from these functions. One aspect of Ramadhan is to help the poor irrespective of their religious faith. Thus the alternative could have been to have given handout of food packets (cooked) to the poor people in the impoverished areas in Colombo and its suburbs to start with, for the poor Muslims to beak their fast and the poor of other faiths to partake the food along with the Muslims in joining in the Iftar. The other issue is that the invited Muslims in being obliging to honour the invitations do forego the usual merits / blessings of the Iftar they were accustomed to gain in being with their family or within the Mosques and involved in the beneficial rituals of supplications, recitals and concentrations that are part and parcel of activities that precede immediately before Iftar, though every Muslim may not be said to be partaking in these beneficial rituals. Another issue is that this Iftar function is elitist, grandeur, and extravagant which could give the Muslim attendees, without realizing by themselves, the emergence of false pride within them in perceiving that they have attended a ‘grand Iftar’ – such ‘grand Iftar’ functions have no place in Islam. However, as said above, this state sponsored Iftar function should not be construed as political and has to be accepted as part of governance. The rationale of the top leaders of the State (The President, the Prime Minister and their supportive cohorts) in having the Iftar function must be looked at in the sense of their appreciation of the involvement of Muslims in one of their fundamental religious obligations viz. Ramadhan fasting – and from the Islamic point of view, all who were instrumental in helping the Muslim invitees break their fast at this function, even if this write-up would have said anything differently above, will definite gain the Merits and Blessings of God (Allah). Next we come to Iftars organized and carried out by certain Muslims who could be rightly classed as opportunists who are of the opinion that the past regime will be brought back into power in the forthcoming presidential and parliamentary elections so that the Iftar they have sponsored and administered would be the groundwork for these opportunistic Muslims to get all sorts of favours and benefits from their predicted personalities in case they come to power through the next elections. Such individual Muslims, Muslim collectives and Muslim organizations who did sponsor such Iftars did that solely for their own benefits and not for the Muslim community even if the appendage ‘benefits to the Muslim community’ could have been marketed by the sponsors to ‘hoodwink’ the Muslim populace. In fact, there is no need to do any functions – let alone Iftars – to get favours and benefits to the Muslim community because the ruling regime whoever they may be should look after every community with equality and fair treatments as per the Constitution of Sri Lanka. The said Iftar functions gave a platform to the invitee politician-guests to air their views, among other points, as to the perceptions of the Muslims regarding them which did contribute to their regime defeat in the last elections. Thus the said functions were really a political platform under the auspices of Iftar which in no way could be condoned within the spirituality of Ramadan. The sponsors have really shamed themselves through these functions though they may not realize it immediately since they are more focused on the political dividends they are supposed to reap in case these politicians come to power. The two parties to these ‘faulty’ and unspiritual Iftars – which are absolutely political and which may be acceptable and the done-thing in political game-playing but not in a religious context – in which each being covertly hypocritical as to their fondness to the other by way of articulating, appreciating and accepting the contributory characteristics of the other to the overall success of each other in the political game playing of the so called Iftar functions. Many of the Muslims who attended these functions were wittingly or unwittingly not bothered as to the reason (s) for the function and were willing participants to the variety of activities that constituted those functions which by necessity lacked the required spirituality of Iftar and thus rendered the participants forego the merits and blessings had they done their Iftar at their homes or in the Mosques where an atmosphere of tranquility and religiosity would have been present definitely. These political Iftars though not to the liking of the Muslim community as a whole nevertheless would continue to be repeated in the future too as long as party politics plays a leading role in the lives of politically motivated groups of Muslims who are hell bent to enrich themselves through favours from the ruling polity with scant regards to the progress and wellbeing of the Muslim community at large. How Did The Provincial Councils Become White Elephants? « Why Do People Not Commit A Crime?